“We have to protect ourselves with respect to China, Russia and even the United States of America,” French President Emmanuel Macron told the French-based Europe 1 during a radio interview. “When I see President Trump announcing that he’s quitting a major disarmament treaty which was formed after the 1980s Euro-missile crisis that hit Europe, who is the main victim? Europe and its security,” he would continue. Macron would then go on to make a call for a “true European army” in order to protect all citizens of Europe. President Macron is concerned Europe is not in a position to defend itself in a sovereign matter, without the aid of the United States. The erratic and unpredictable nature of United States President Donald Trump has drawn concern from allies in Canada, Europe, and South Korea over recent months. The 2016 election of President Trump has raised urgency in Europe to boost defense capabilities of European Union (EU), especially with concerns over active measures campaigns from the Russian government led by President Vladimir Putin. While France has been most vocal within the EU concerning a coordinated defense military, Germany led by Chancellor Angela Merkel has given tentative support to such a measure according to the Independent. The European Commission holds that coordinated defense cooperation would not be a means to create an EU army. While such a military partnership is possible due to the current EU partnership, open cultural exchange, and economic ties — the political will may not be present for a structured joint army. President Macron proposed a joint intervention force for specific defense missions, which drew backing from both Germany and the United Kingdom. However, the United Kingdom does not support the creation of a European Army, stating concerns of creating an agreement which parallels the mission of NATO, according to BBC. There is no evidence that any group of European countries has the political will or economic muscle to spend sufficiently on defence [sic] to make up for the United States’ raw power. Indeed the deployment of troops “into harm’s way” remains the ultimate sovereign decision of a national government. There is no “Nato army” today – merely an alliance of national components trained and accustomed to operating together. President Macron’s call for a greater European effort in defence [sic]derives from two sets of factors: his support for the greater European project on the one hand, but also horror at much that the Trump Administration is doing on the other, with its overturning of treaties and so on. President Macron is currently undergoing a political battle in France. His La Republique En Marche! 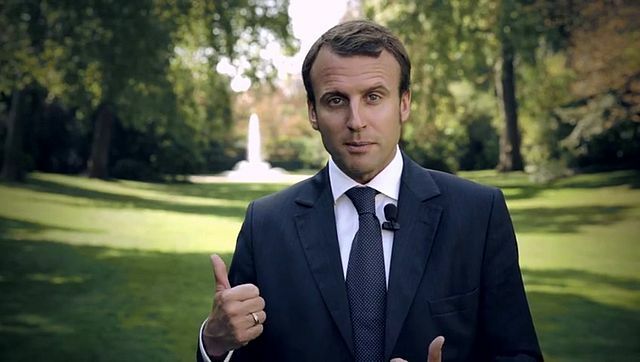 (LREM) centrist party is currently polling close with the far-right nationalist National Rally party. Macron’s neoliberal economic policies have caused him to fall out of favor with some French voters. Highlighting voter frustration Macron blamed the current rise of nationalism “too ultra-liberal Europe that no longer allows our middle classes a decent living,” despite the worldwide rebuking of centrist parties. The timing of a call for an EU army could be to help show he is strong on national defense to push back against National Rally opposition.